The tournament will take place november 23-25, 2018 in Borås, Sweden. 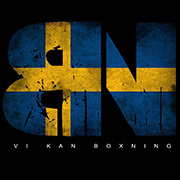 The King of the Ring is open for male boxers all classes. Don’t hesitate, send your best male boxers to bring home the title. We only have one question: Who´s the Champ? Hi, I am requesting this information on behalf TIMES ABC. We have registered our boxers to take part in the King of the Ring tournament but we are having troubles finding an accommodation close to the sport centre. The hotels websites listed on your page are in Swedish or they show ‘fully booked’. We have already paid for our flights and we need to find the hotel urgently. Can you please advise a good hotel but not so expensive. The closest hotel for the best price is the ”comfort hotel jazz”. It should be listed here on our website, under accomodation. Othervise, just call them at +4633100020 and tell them that you will participate in King of the ring – boxing and you’ll get a better price. I hope this information is helpful, othervise just let us know. My e-mail adress is rayhusac@telia.com. I check that more frequently and will be able to help you much faster. Hi I would like to enter your king in the ring tournament. I’m from Australia how do I enter this competition. Hello am from uganda,i would like to enter your boxing tournament,am light weight. Hi.we looking to enter a few boxers from Wales again this year , how much is the entrance fee this year . I want to be the king of the ring. Hello Sir! I am an AIBA Certified ITO from Uganda, East Africa. Can I join in to officiate at the event just to appreciate your organization and to exhibit my expertise. Kind regards. Paul Ayiasi.